One of the great things about MAPADOC is the flexibility it offers to users working with the software. 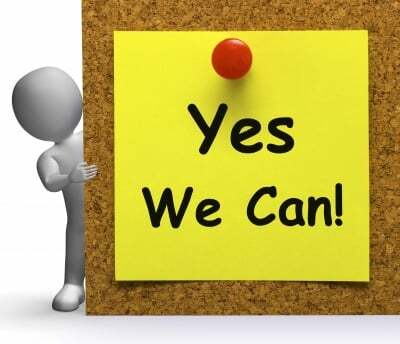 Yes We Can Help You or Yes We Can Teach You! Everything in MAPADOC is accessible to the end user. There is nothing hidden behind the scenes (as so often happens in EDI software). Everything that the MAPADOC team uses to set up and implement your EDI trading partners is available to you, should you want to acess it. Today’s post discusses some of the main set up and training options our clients love. I assure you, the MAPADOC team is always happy to assist you and/or complete new setups or adjustments for you without you needing to know anything. If learning the specific details of how EDI setups work is something you have neither the time for, nor the interest in doing, we are happy to do this for you. We will complete the work and train you on the things that you need to know. If, however, you are interested in learning the workings of MAPADOC and becoming more self-sufficient with your MAPADOC software – we are happy to help. Many users are finding that they like to understand how MAPADOC works and how they can assist with new trading partner setups. Many of our clients also want the flexibility to tweak existing setups when neccessary. To help, MAPADOC offers a variety of training options to help you learn MAPADOC the way that best suits you and your company. We are happy to set up a customized training session with you and other people at your company. This could be a short hour or two session (or sessions) – or a day or more of training. The agenda can be set up and reviewed with you beforehand to make sure we are covering everything that is of interest to you. MAPADOC offers a full schedule of training courses for Sage 100 ERP and Sage 500 ERP. We typically run these courses every month and you can attend remotely from your home or office. o There will be many training and breakout sessions offered at our yearly Customer Conference. This is a great place to learn more about MAPADOC and network with other MAPADOC users. Want to sign up for training or schedule a session at your office? No time to train but need some help with your system? Contact the experts by clicking the image below.